It's hard to imagine how I ever blogged without the wonder that is Instagram. Whenever I'm at a loss for blog topics, I just turn to my Instagram stories and survey all of my adoring blog followers (all three of them) for inspiration. I've been tossing around a few ideas in my head of things I wanted to write about (with the 30 minutes I have free every week. Seriously). 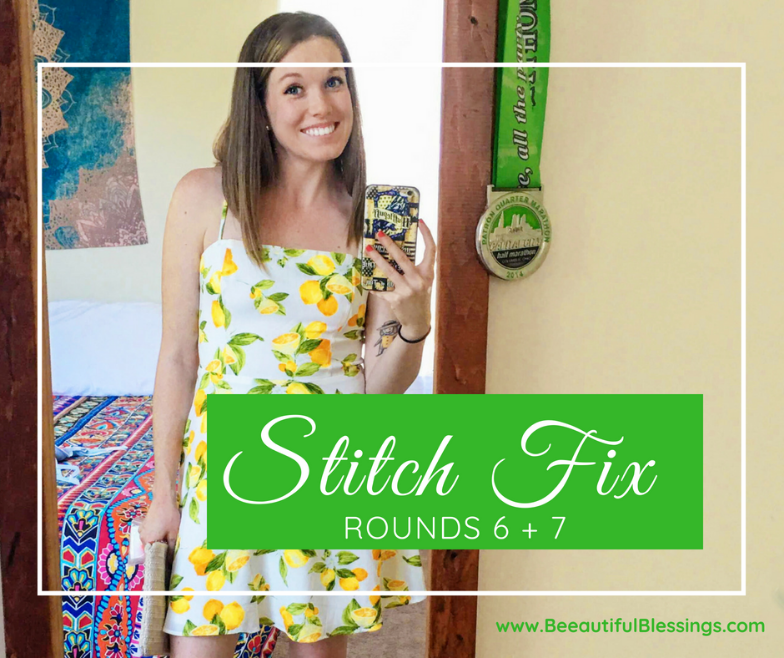 When I asked what people wanted to see on this blog, the overwhelming answer was- my most recent Stitch Fix shipments! And honestly, I can't blame them. What is it about seeing people trying on clothes in their home that is so darn interesting? 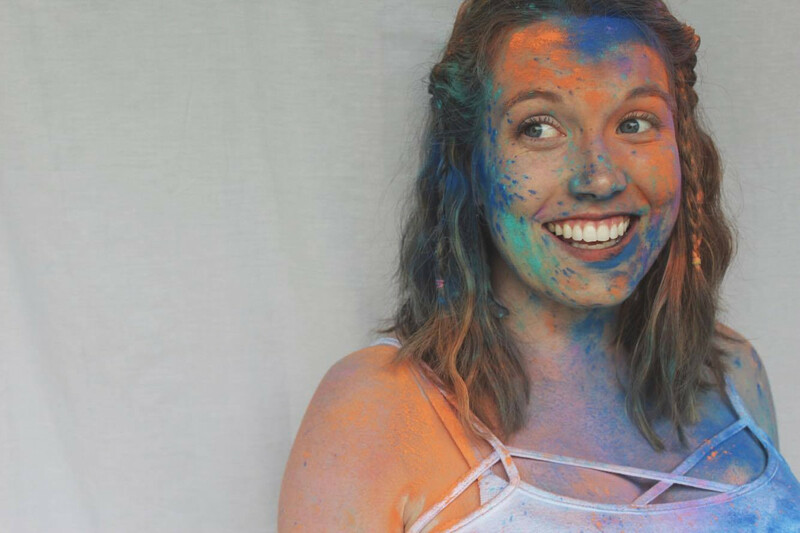 Stitch Fix posts are some of my favorites to read from other bloggers. When I found out I got my new, full-time job back in May, I knew I was going to seriously need to upgrade my business/professional wardrobe. I had been a SAHM for a year and a half and all my jobs prior to that had been super flexible in terms of dress code. So basically, I had nothing. My wardrobe is still lacking and I wear the same outfits on rotation every 1-2 weeks, but thanks to Stitch Fix, I'm slowly adding more and more quality pieces to my closet. When I requested my fixes in May and June, I specifically requested that I wanted work-appropriate pieces, but preferably ones that still had a little boho flair so I could remain true to my personal style. I liked this top (and looking back on it, I'm actually questioning my decision in returning it), but this was the fix in which I figured out that I'm most definitely a size S and not a M, because it was just too baggy on me. And in keeping with the theme of blouses that I basically drowned in, this one was see-through to boot! Guys, I love this dress. I am so drawn to fun prints like this and there's no doubt in my mind that it would have been an adorable choice for my friend's wedding. That being said, with its spaghetti straps and open back, this wasn't one that I felt was very versatile and I was afraid I wouldn't get much use out of it outside of the wedding. So sadly, I said goodbye. Parting with the clutch was not nearly as difficult. I'm just not a clutch kind of girl. Finally, a winner! I love the stripes, I love the embroidery, it's so dang comfy and did I mention it has pockets?! Score! 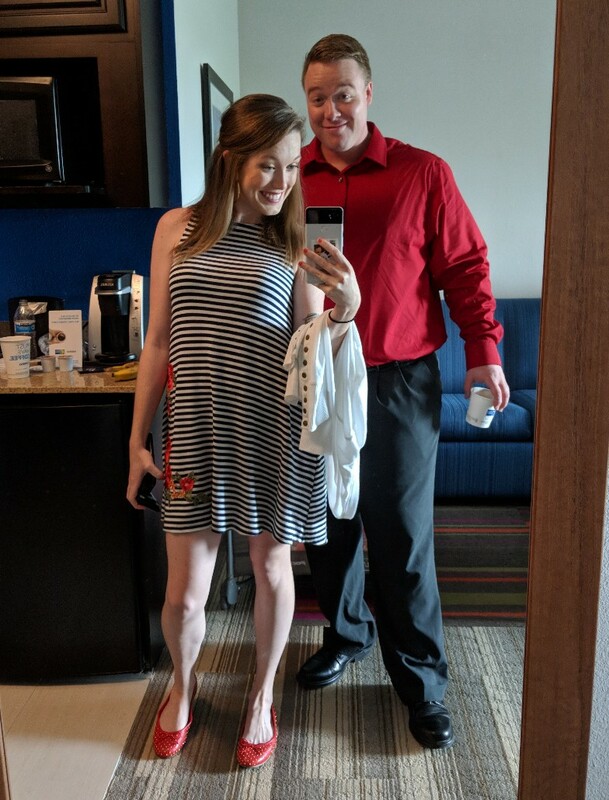 Although it's a bit more casual than I was hoping for, I did end up wearing this one to Laura's wedding and I got a really cute pair of red flats on sale at Payless to match that I wear to work regularly! In June, I got a new stylist and I'm actually so happy about the change because she did a wonderful job! She nailed my style and I was so happy with the pieces she picked out for me. First off, I fell in love with his blouse the minute I saw it. I love the colors, I love the print, it fits well and it's just so me! I knew this one would be a keeper from the get-go. My stylist warned me that the Erica Taylor pants were a "splurge" item and since I'm a cheapskate when it comes to buying clothes, I wasn't planning to keep them initially. Although my smudgy mirror selfie does them no justice, I love these slacks! They fit me like a glove, are so comfortable and are super figure-flattering. Since I was already planning to invest in a few pairs of dress pants, I felt I could justify the $80 price tag. I was so on the fence about this cardigan. 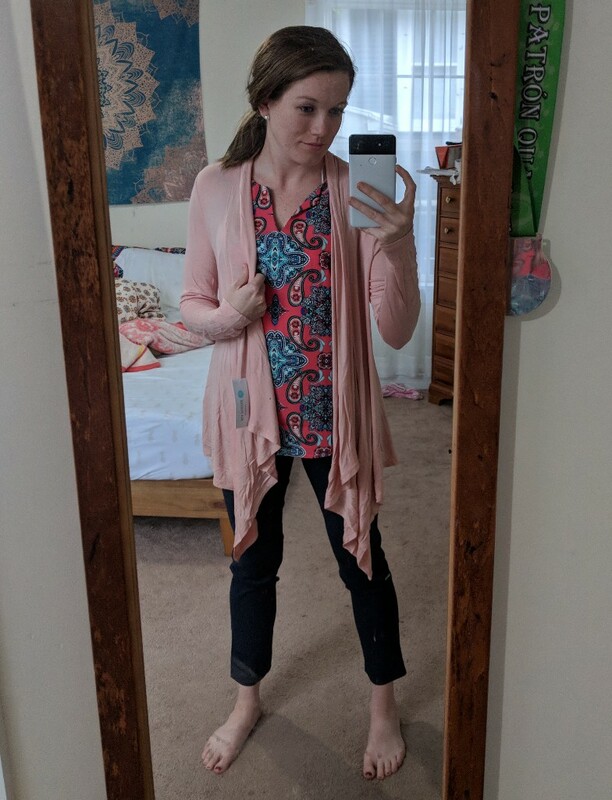 I loved it in theory, but I like my cardigans to be pretty fitted. This one was just a little too awkwardly baggy in the armpits, so I returned it in the end. I just couldn't justify the purchase when the fit was never going to be quite right. I adore the crochet detail on this top, but again, I just can't do a see-through blouse. 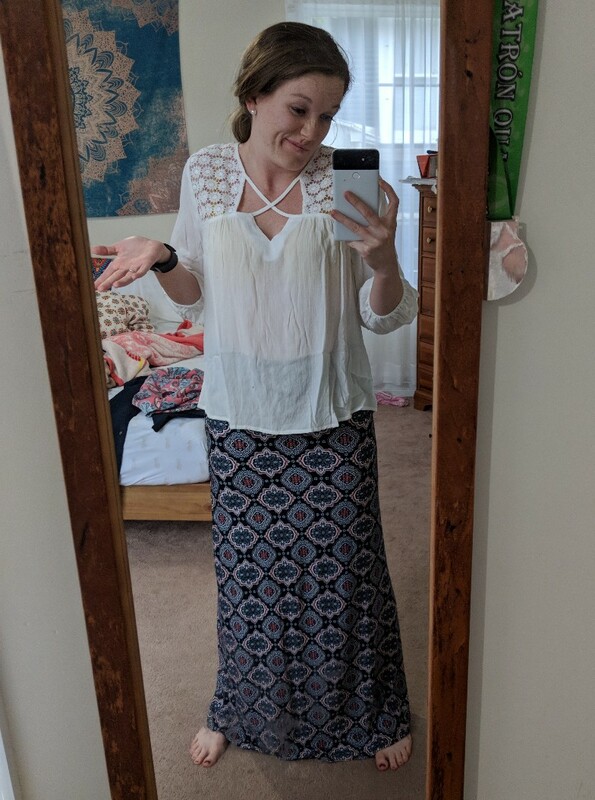 As for the maxi skirt, I liked the print and I loved that my stylist was giving me the boho pieces I so desired, but I don't really wear maxi skirts in my everyday life. My seventh fix was the first one in which I seriously considered keeping the entire fix. Fun fact: If you decide to buy all five pieces in your fix, Stitch Fix will give you a 25% discount on your entire purchase. Sometimes it's actually more cost-effective to buy the whole dang box! My next fix is scheduled for this Friday and I can't wait. I'm not the kind of person who does well with surprises so the instant that shipping confirmation hits my email, I immediately go over to the checkout link on the Stitch Fix website to see what I can expect to see in my mailbox. It's totally cheating, but I can't help myself! 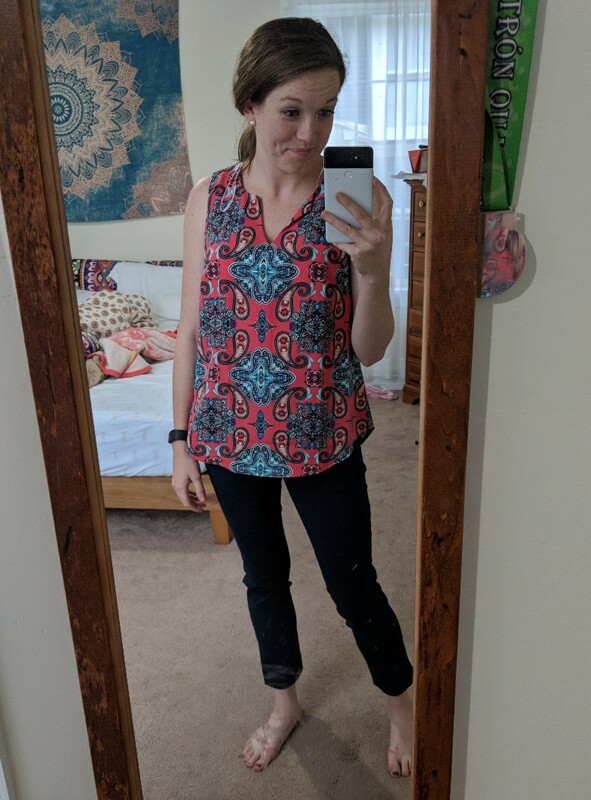 For those of you who are curious about Stitch Fix but may be reluctant to commit, I also want to say this- I did take a long recess in between my fixes. Most of the pieces they send are admittedly more than I would prefer to spend on clothing. 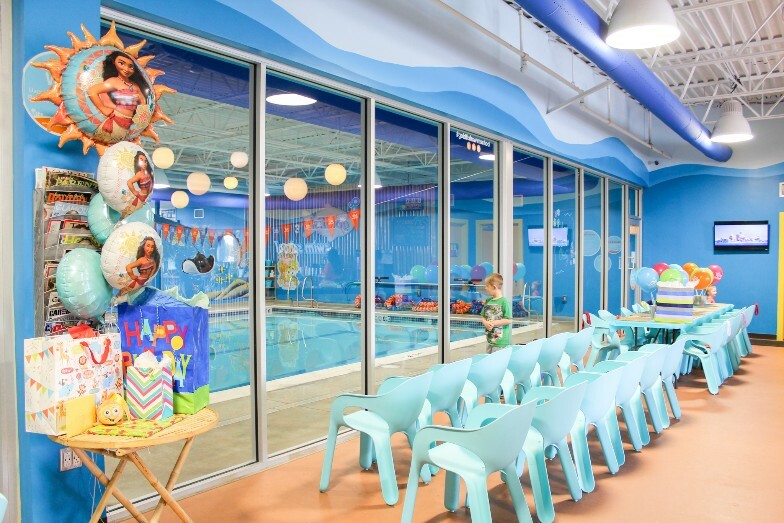 However, since I'm a busy mom of two working a full-time and part-time job, and studying for a big professional exam, I legitimately don't have the time to go shopping at a brick-and-mortar store. So for me, the convenience factor of having someone do my shopping for me and having clothing sent right to my door to try on in the comfort of my home is totally worth the investment. If you're interested in trying Stitch Fix out for yourself, you can use my referral link. This post isn't sponsored in any way, but I will get a credit toward my upcoming fixes if you decide to use my link.